Specifically, when does what I call a mnemonic object really constitute a written device? It all depends on definitions. Let’s start with the most controversial question it the area – is the Inca khipu a written or mnemonic device? This knotted cord device is the most adaptable portable memory device that I have found so far. 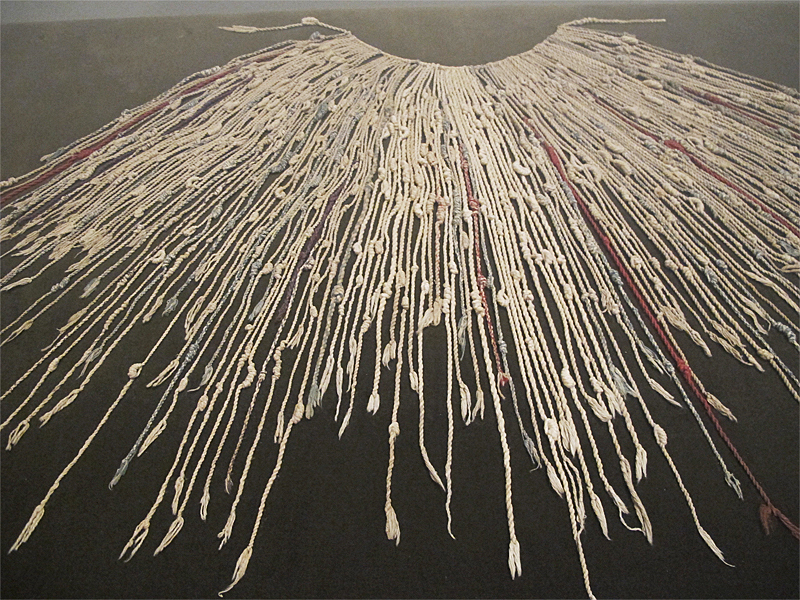 In combination with their landscape pathways known as ceques, the khipu was the reason the Inca could maintain a vast empire in South America without writing. That is, if you define, as I do, the khipu as a mnemonic device. But it isn’t simple. I have also found it less memorable in my experimentation than the landscape locations forming songlines or the portable devices such as the African lukasa. 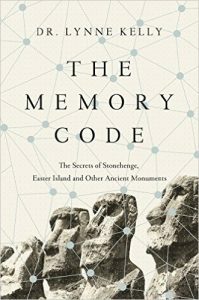 Was it ever intended to be fully memorized? Was it much closer to a written script? 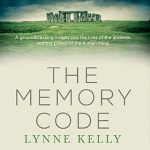 In The Memory Code, I use the narrowest definition of writing, that of a script which represents the sounds to a degree that an independent reader of the same culture will reproduce the exact words inscribed by the writer. Hence, there needs to be an alphabetic script, or at least one in which syllables can be represented, for me to call the symbols on a physical media ‘writing’. the communication of specific ideas in a highly conventionalized, standardized manner by means of permanent, visible signs. I would also like to subscribe to the qualification that the forms of writing that accomplish the most highly specific level of denotation of ideas are those in which the signs of writing denote the sounds of the language community in question. 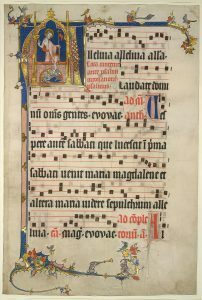 Urton, among many others, would prefer the terms glottographic (sound based) and semasiographic (non sound based) with further qualifications. Using Urton’s definitions, I am happy to consider the two khipus I am using in my experiments as written devices although I may find that I start to memorise them much as I do the other devices. That isn’t the case yet, but all these experiments take years. More on that in a future blog. But what about those who consider all indigenous inscriptions to be writing? However, I think such signing devices are best classified as icons bearing conventional but highly abstract, context-specific meanings. Referring to such productions as writing, while perhaps satisfying what I would argue are essentially politically motivated programs or agendas promoting inclusiveness and multiculturism (to which I am sympathetic), renders the concept of writing virtually meaningless and (more to the point) useless for analytical purposes. I think we can only conclude that there is a continuum from devices which are clearly mnemonic to those, like this blog post, which are clearly writing and that a very specific division between writing and mnemonics isn’t possible. The people who created the symbolic forms were more interested in storing and communicating information than they were in my future struggles with definitions. History is usually defined as the study of the past where there are written records. Before written records, it is prehistory. Consequently, the division between history and prehistory is similarly blurred. Such is the reality of studying the human past. the point on which differentiation between different types of signing/ recording systems would turn … is that of need, rather than intelligence. (His emphasis). 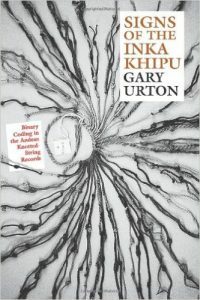 Quotes are taken from Gary Urton, Signs of the Inka Khipu, (2003), University of Texas Press, pp 26-8. 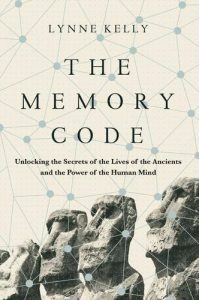 This entry was posted in Inca, indigenous memory systems, Inka, khipu, memory devices, mnemonics, orality, primary orality, quipu, The Memory Code and tagged Inca, Inka, khipu, Memory Spaces, mnemonic devices, orality, primary orality, quipu, The Memory Code. Bookmark the permalink.